Homeowner’s equity has gone up, according to a recent study. 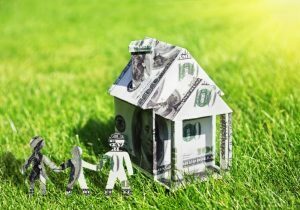 The CoreLogic Homeowner Equity Insights for Q2 2018  revealed that equity for homeowners with mortgages has increased by 12.3 percent, or by $981 billion since the second quarter 2017. Additionally, the total number of mortgaged residential properties with negative equity, borrowers who owe more on their mortgages than their homes are worth, went down by 20.1 percent, from 2.8 million homes in Q2 2017 to 2.2 million in Q2 2018. The national aggregate value of negative equity was approximately $279.8 billion in Q2 2018. Despite these increases, many Americans are still hesitant to tap into their equity. However, as Dr. Nothaft noted, these equity gains do mean more money put back into homes for improvement. Bankrate.com found  that three-quarters of homeowners say that making home improvements or repairs is a good reason to withdraw cash from their home equity. Still, less homeowners are willing to use home equity loans or home equity lines of credit. Bankrate CFA Greg McBride states that increasing debt among homeowners may mean more Americans will tap into their home equity.